Nonconformist art (aka unofficial art) [неформальне мистецтво; neformalne mystetstvo]. A term for art created in the USSR that, until the period of glasnost and perestroika in the 1980s, did not meet official approval and recognition. The creators of this art did not adhere to the prescribed program of socialist realism formulated at the First All-Union Congress of Soviet Writers in 1934. They did not, however, constitute a movement, nor did they represent one style, ideology, or worldview. In most cases their art was not an expression of political dissent. What unified them was their belief in and insistence on the freedom of creative individual expression. Strictly speaking, nonconformist art was not forbidden as long as it was kept private; when it was shown publicly, however, its creators were often subjected to reprisals and persecution. This state of affairs forced nonconformist artists to work in solitude and without official recognition. 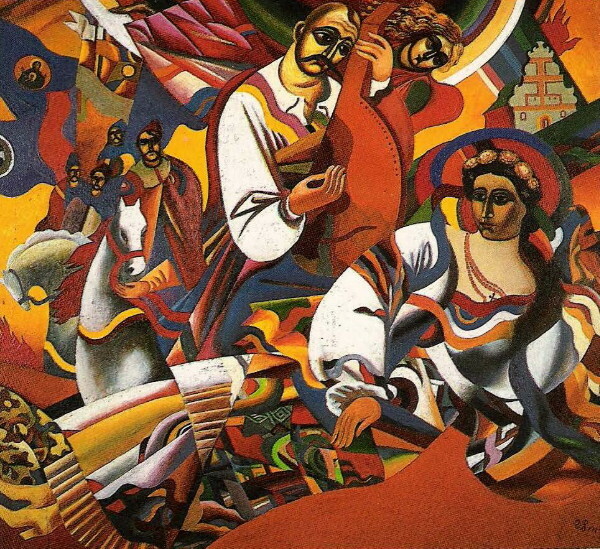 Ukrainian nonconformist art had its beginnings in the Khrushchev ‘thaw’ of the mid-1950s. At that time the socialist-realist framework was widened, and Ukrainian ethnographic and folk-art themes became popular. Artists began exploring hitherto forbidden styles and trends in Western art and Eastern philosophy, as well as Ukrainian art of the 1920s, and developing their individual visions and means of expression. 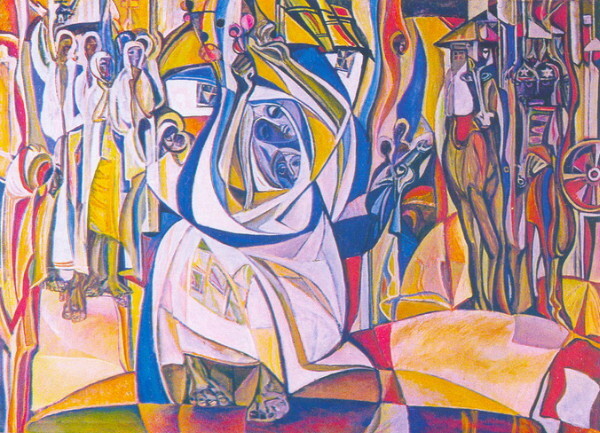 In the 1960s some artists became part of the growing dissident movement, and Opanas Zalyvakha and Stefaniia Shabatura were arrested for their involvement and imprisoned. Unlike their colleagues in Kyiv and in western Ukraine who signed petitions and attended political trials, the Odesa nonconformists pursued only artistic concerns. 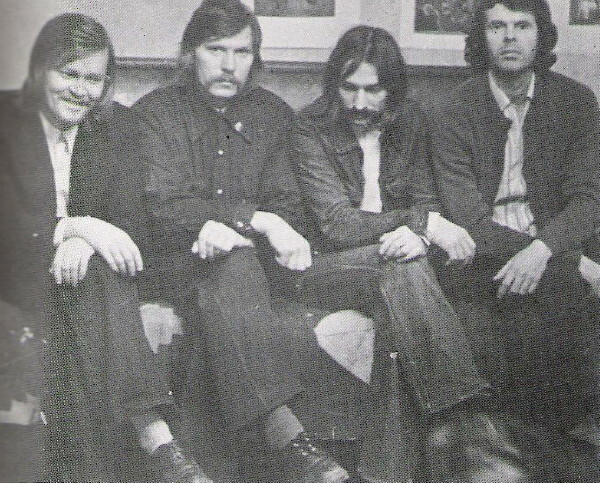 In 1967, long before the infamous bulldozing of the exhibition of nonconformist art in Moscow in September 1974, two Odesa artists, Stanyslav Sychov and Valentyn Khrushch, displayed their art outside the Odesa Opera and Ballet Theater. Even though their exhibition lasted only a few hours before it was closed down by the police, it brought artists' disenchantment with officially sanctioned art into the open and made public the distinction between official and nonconformist art. 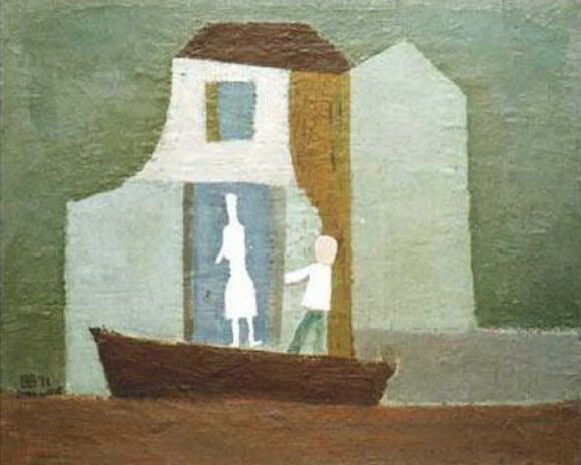 During the crackdown on the dissident movement in Ukraine in 1965 and again in 1972, nonconformist art went underground. Thereafter, some artists led a double existence, earning a living by creating socialist-realist art while continuing to paint nonconformist works in private. 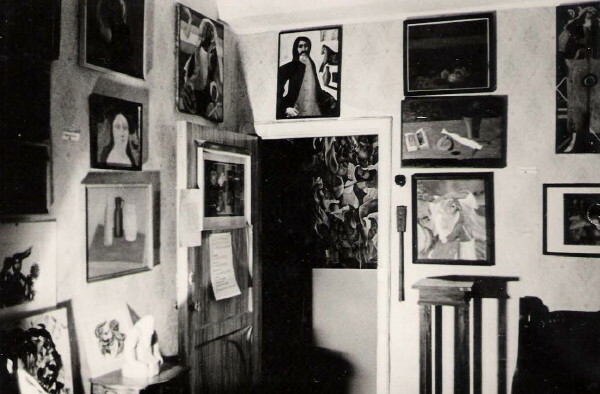 In 1975 the First Exhibition of Ukrainian Nonconformist Artists was held in Moscow in a private apartment. Of the five participants, Feodosii Humeniuk from Leningrad, Volodymyr Makarenko from Tallinn, Vitalii Sazonov and N. Pavlenko from Moscow, and Volodymyr Strelnikov from Odesa, four had been forced to live and work outside their homelands. 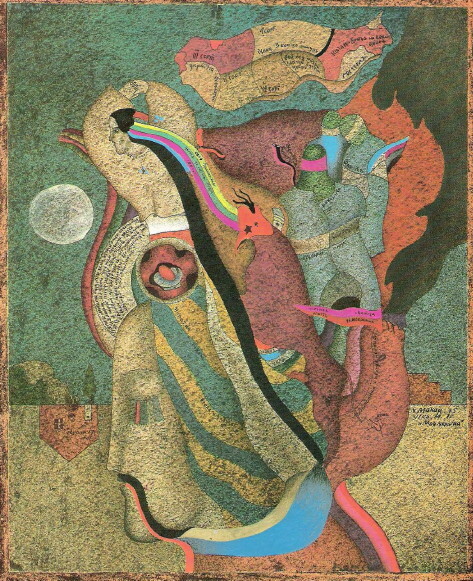 In the Second Exhibition of Ukrainian Nonconformist Art, which was held in Moscow in March 1976, 16 artists participated. 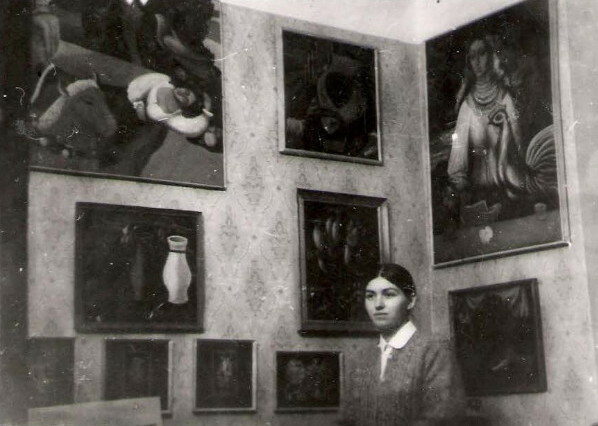 These exhibitions gave an opportunity for Ukrainian nonconformist artists living in different parts of the USSR to join forces. They could do so only in the Russian capital, however—the only place in the USSR where such a gathering was possible, and where their work would be seen by foreign diplomats and correspondents. 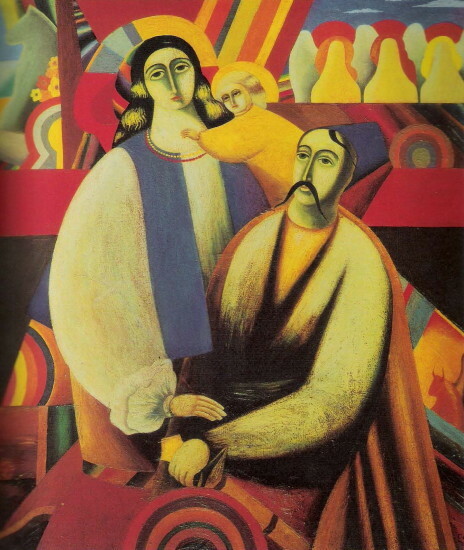 Works by some Ukrainian nonconformist artists eventually made their way to the West, as did three of the artists themselves (Volodymyr Strelnikov, Volodymyr Makarenko, Vitalii Sazonov). 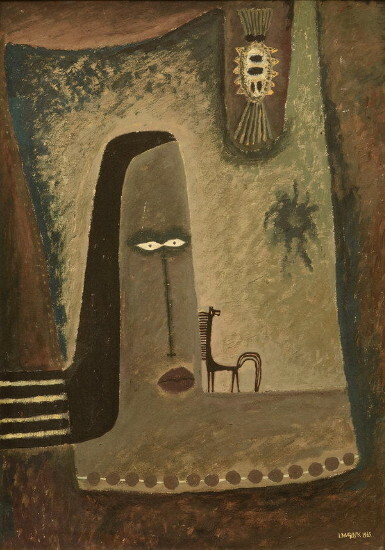 The first traveling group exhibition of such art in the West was organized by the Ukrainian American Ihor Ciszkewych and mounted in Munich, London, New York, Cleveland, and Washington, DC, in 1979–80. 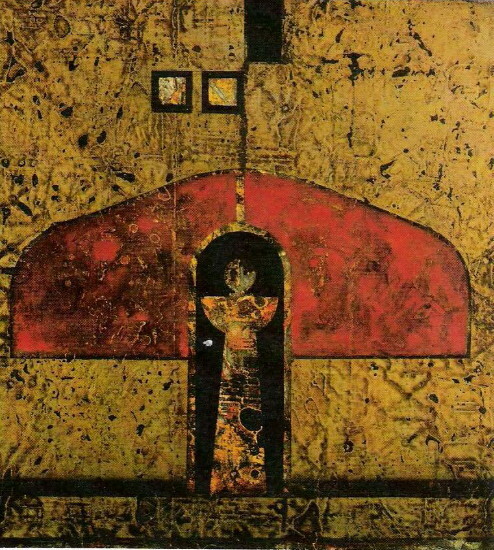 A second exhibition was organized by Daria Zelska-Darewych in Toronto in 1982, and traveled to Winnipeg, Chicago, Detroit, Cleveland, and New York. 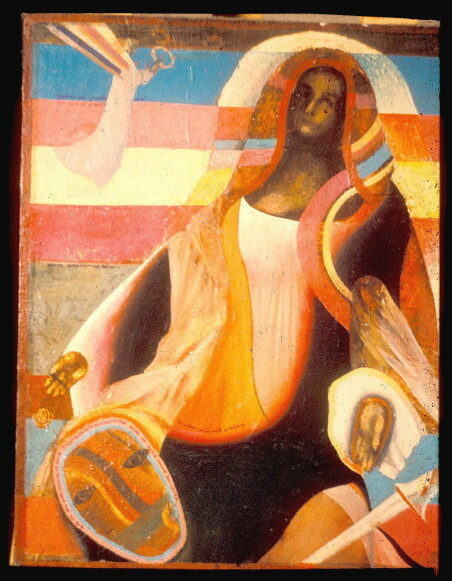 This show included works done by V. Makarenko, V. Sazonov, Anton Solomukha, and V. Strelnikov in the USSR and after their emigration to the West, and its opening was attended by three of the artists. 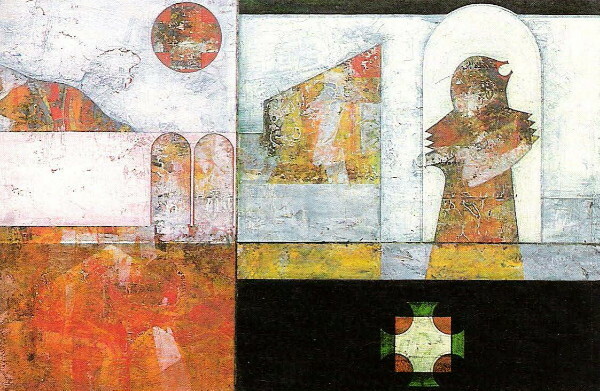 Ukrainian nonconformist artists who remained in the USSR were unable to exhibit their work publicly until the early 1980s. 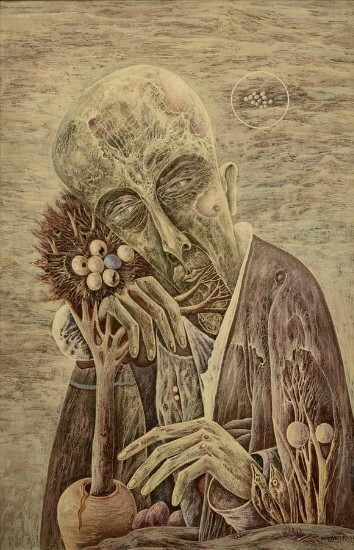 At that time shows by some more prominent nonconformists, such as Ivan Marchuk, were sponsored by official organizations, such as the Writers' Union of Ukraine. 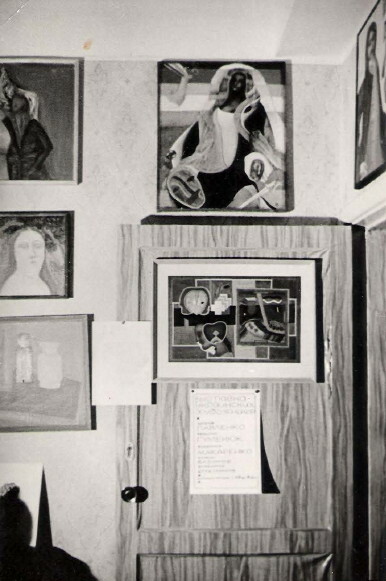 By 1987 many unofficial artists had been invited to exhibit in alternative spaces. 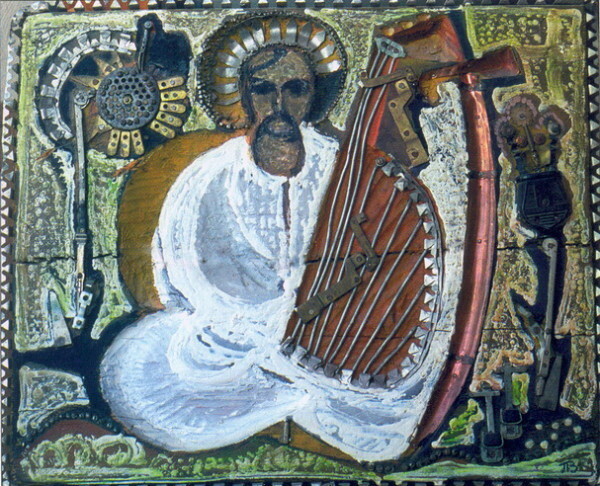 By 1988 many of them, including Feodosii Humeniuk and Marchuk, had been accepted as members by the Union of Artists of Ukraine. Articles about Opanas Zalyvakha and Volodymyr Loboda as well as others appeared in the official press. Because national exhibitions organized by the Union of Artists since the late 1980s have included artworks which formerly would have been labeled decadent, the distinction between official and nonconformist art became blurred and has ceased to exist.